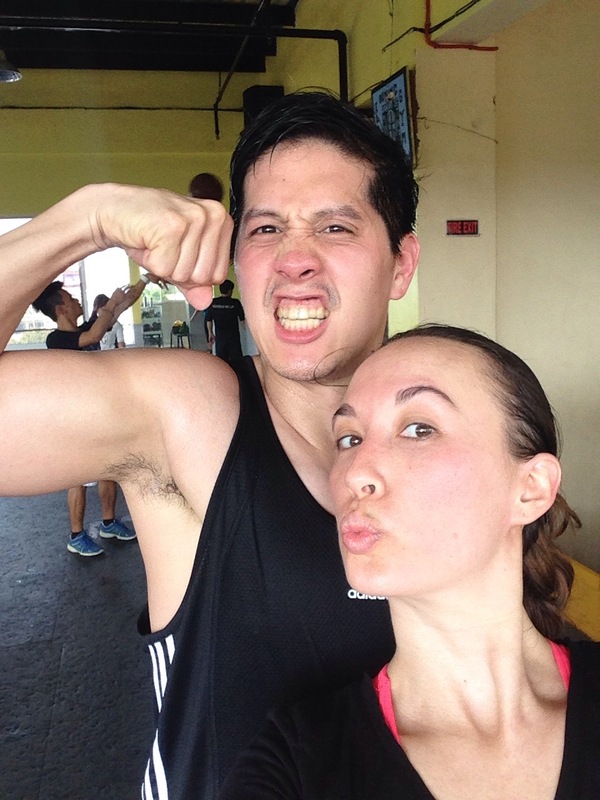 It’s high time I wrote an entry about how wonderfully Spirit-filled my husband, Edric, has been as of late. Sometimes my posts about our marriage have something to do with his intensely spirited personality and my not too commendable reactions towards him. So I wanted to acknowledge the recent change I have seen in him, especially in the area of patience. He would call it “being Spirit-filled.” This has been the phrase he has recited to himself repeatedly over the past week as he has met with unfavorable or challenging circumstances, sometimes in the form of yours truly! But what does it mean to be Spirit-filled? 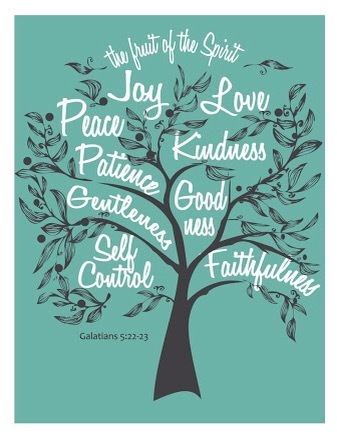 Galatians explains it for us by affording a contrast between the flesh (our human nature) and the fruit of the Spirit. A person who is flesh-filled thinks, speaks, and acts in a manner that is carnal and selfish. In contrast, a Spirit-filled person exhibits Christlike character traits such as love, joy, peace, patience, kindness, goodness, gentleness and self-control. A true follower of Jesus ought to produce this kind of fruit. It’s not surprising that marriage is the perfect petri dish to test for evidence of the Spirit-filled life. Any honest married person would attest to the fact that a husband-and-wife-relationship can get fiery at times, which can bring out fleshy behaviors like agitation, impatience, anger, etc. Therefore I really appreciated the manner in which Edric exemplified control over his emotions this past week, particularly two Thursday mornings ago. On that morning, I came down to the kitchen with feelings of frustration while our children and Edric chatted around the breakfast table. Normally, I enjoy mornings and I am the one greeting every child that comes bounding down the stairs. But that day, I opened my drawer and pulled out two halves of one brassiere. Yes. My bra looked like it had been torn in two by an animal. I suspected that someone stuck it in the washing machine against my orders. So I took the two ridiculous looking halves and plopped them on the kitchen counter, calling out the name of the person responsible for this destruction. It was our sincere but sincerely wrong househelp who will remain unnamed. In the meantime, Edric and the kids were trying to get my attention while laughing and playfully interacting around the breakfast table. Edric chirpily addressed me with a good morning but I was in the middle of correcting the mistake made by our househelp, reminding her that my under garments should be hand-washed only. She offered an apology which I really appreciated but there was no way to repair my damaged bra so I chucked the two halves into the trash and joined Edric and the kids for breakfast. This is when Edric took it upon himself to enlighten me about the affairs of the morning, “I ordered pandesal because all we had to eat for breakfast was watered down oatmeal.” He offered this information very pleasantly, smiling at me. My disposition changed. 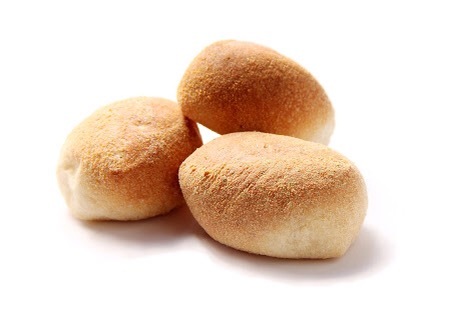 Edric took the initiative to order pandesal instead of griping about the awful breakfast?! It was weird but oh so nice! He aded that his bible reading for the day was about being filled with the Holy Spirit. Not so coincidentally, our water heater broke down that morning, too. Uh oh! So he stood in the shower with cold water running down his back as he chanted and breathed in deeply, “Be filled with the Spirit!” He was still smiling at me! I began to laugh because Edric’s default mode is to at least make some sort of constructive comment about how to run the home better when things like this happen. First there was the watered-down oatmeal, and then the cold shower. And still, his countenance remained pleasant and his temper was even and controlled. I was very impressed. He went off to the work and instructed the driver to inform me that he had to be picked up from the office by 11:30 am to be at ABS-CBN for the taping of his show at 12 noon. For some reason I absent-mindedly thought he meant that he needed the driver by 12 noon. Edric didn’t get picked up until 12:15 due to traffic. He called me a little bit upset (but not angry) when the driver was late. This was a problem because he had 7 shows to tape that afternoon with VIPs. 7 shows! Wow! Who was this amazing man that exhibited such patience with me?! I told Edric how blessed I was at his responses that day. And his attractive factor was bumped up several notches higher in my estimation! I know my role as a wife shouldn’t be contingent on the way Edric treats me as my husband. However, there’s a divine principle in effect when he is a Spirit-filled husband. His love toward me, manifested in the grace and kindness he applies when I make mistakes or fall short in areas where I should not, inspires that feeling of respect towards him that he also looks to receive from me as a wife. The manner in which Edric embraces his role as Christ to the church (me), where he loves me the way Christ does, encourages me and motivates me towards holiness. In this particular instance, his demonstration of this love was the act of patience and self-control. It’s really a simple formula for couples although the challenges are undeniably present. Afterall, who likes to respond with happiness to watered-down oatmeal, a cold shower, and being made late to 7 tapings for a TV show? It’s not easy and it takes being Spirit-filled versus flesh-filled. But the blessing is this…When a husband is the Spirit-filled leader of a marriage and home, God uses his example and headship to till the “soil” and make it fertile for the spiritual growth of the entire family. And this is the point I want to highlight. 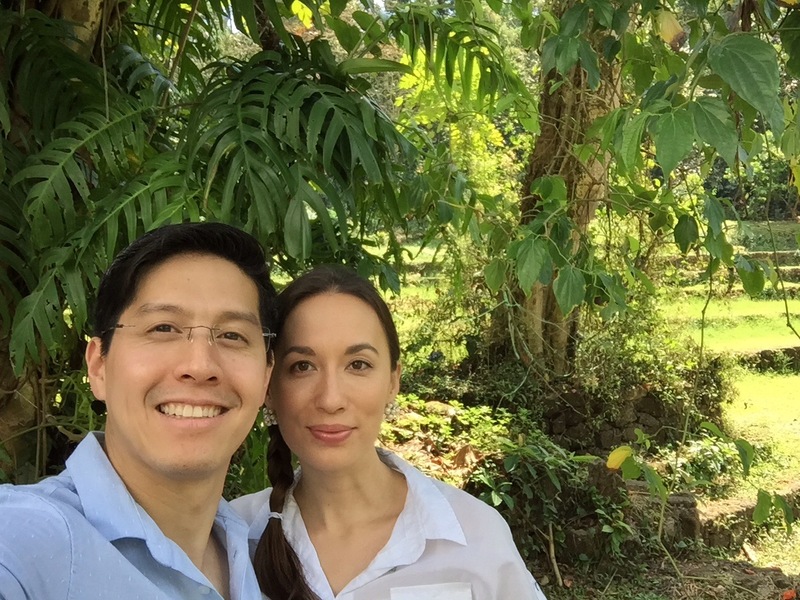 Yes, I can choose to be a submissive and respectful wife by focusing on the Lord and not Edric’s role as a husband, but how much more delightful and joyous it is to fulfill my role in the context of a marriage where my husband chooses to be the husband God calls him to be. 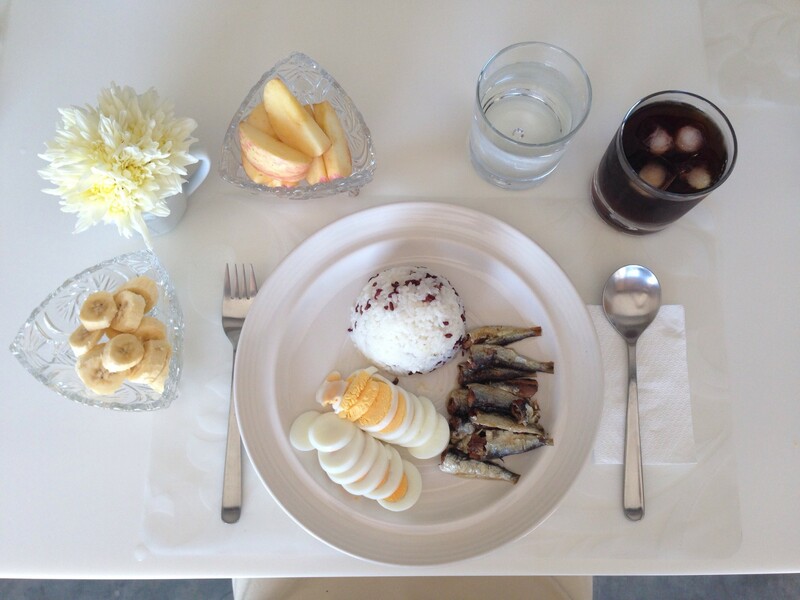 Because Edric’s attitude and actions conjured up feelings of romance too, I tried my best to serve him with better breakfast meals (still healthy). Tadah! Wow! simple yet a yummy and tummy/spirit filled breakfast!! of problems. Spider-Man barely had the strength to hold Green Goblin. The mental framework will soften and feelings will be dreamy with the Moon in Pisces.